Looking for immediate availability of a TGE van? With this programme you can choose from a 3.5T Dropside, Tipper and Luton bodied derivatives, all ready to go! Whatever your business, the TGE model range is fully equipped to meet all your requirements. 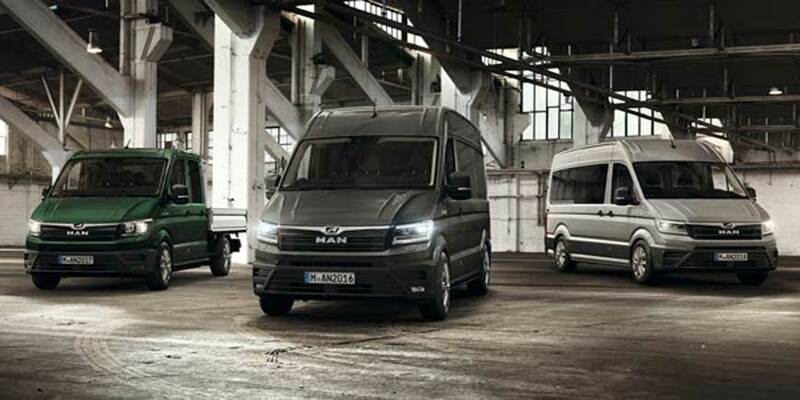 Whether you’re a mobile engineer or transporting parcels the MAN van range has the right van for you and your business. Thinking about funding solutions? Don’t miss this offer! *Ownership transfers once the customer pays all charges and payments including the Option to Purchase Fee. With Hire Purchase. 10% customer deposit required + VAT. 18s+. Subject to status and availability. T&Cs apply. Available on limited stock only. Offer available when ordered by 31.12.18. Indemnities may be required. Not available in conjunction with any other offer and may be withdrawn at any time. Accurate at time of publication [10/2018]. Freepost MAN Financial Services.